Mumbai, Maharashtra, India: A name to reckon and admire, when we talk about the most daring, persistent, flamboyant and humble entrepreneur of current times. He captures your heart with his ordinary and soft-spoken persona. His entrepreneurial aptitude drives him to not only take risks, but to thrive them to success. With an impeccable eye towards opportunities, a visionary, a genius at numbers, and determined to take action on his plans, marks him as one of the most successful entrepreneur. The icon in making Amin Rozani, The Managing Director of Spartan Poker, is one of the most influential and unmissable personalities of the Indian Poker industry today! A veteran, Amin Rozani, has a rich history of success and failures, and his persistence to make a change in this industry has been broadly appreciated now. Some important facts on how he carved a niche for himself in this competitive market, and what was the turning point in his life that lead him towards this business. “I’ve always had a good head for numbers. Since school days, my favorite subject was math. While I barely managed to pass other subjects but I used to enjoy math tremendously and it has held me in good stead right from the time I started working,” says Amin Rozani with outmost humility. It seems that this mathematical mind set Rozani as India’s best Poker Consultant. His involvement in the Poker business has covered all aspects from running Poker rooms, being a part of online Poker websites, heading the biggest Poker room in the country & now making it available online too. “Online Poker in this country is here to stay. One can easily see the upward trajectory this industry is on since it began 5-6 years ago and I don't believe this will ever go down,” said Rozani. Rozani was born and brought up in a typical middle class family of four, his parents, younger brother and himself. His father had a small iron and steel business in the city, which didn't do too well. He picked a job at Standard Chartered Bank in 2009, but quit it to pursue his passion and focused completely on Poker. The turning point in his life was not an easy one. “After the passing away of my father almost 5 years back, the responsibility of the family came on my shoulders. He had a small iron and steel business in the town side of the city. There was nobody to attend to the business, that's when I took to explore various options, and planned to also venture into poker business. I have been fortunate to meet and worked with some quality people in this business, which further enhanced my approach,” says Amin. His journey at Deltin Royale has always been very close to his heart. Speaking of live events, I am also a part of the team behind the India Poker Championship (IPC), the country’s premier live Poker tournament. Founded by Sameer Rattonsey and Peter Abraham, I joined the IPC team in the 2012-13 season along with Rajeev Kanjani. Our success in hosting IPC events was acknowledged by the steadily growing Poker fraternity of India. In November 2014, Rozani, Rattonsey and Kanjani took over the reins of the Deltin Royale Poker room, the country’s biggest Poker room and tournament Poker venue. “Goa is a wonderful place to host an event like the IPC and besides that it’s also most favored beach destination of India,” said Amin. His efforts took Indian Poker Championship to another level. “With barely 2 months at the return of the IPC in January 2015, from an average of 100 players per event, the numbers swelled to over 300 taking part in individual events. I have been fortunate at the enthusiasm shown by top international brands like the World Poker Tour and others to do their events in our venue and it just goes to show that India as a market is growing and gaining the regional and global attention,” adds Amin. Upon his return from Goa post IPC, he devoted his energies to Spartan Poker. This gaming platform has quickly risen through the ranks in the 18 months of its existence and is certainly the country's fastest growing online Poker site. “We have some very experienced people who are part of this setup and they or I should say we, consider ourselves as players first and then Poker Business Professionals. So our thought process is always player-driven. What kind of offerings would interest and excite them? This is a key element in our minds when we are working on our promotions,” speaks Amin explaining his new venture Spartan Poker. With the introduction of top value added events like “The Millionaire”, Spartan Poker has swept India by storm. “It is wonderful to play some amazing formats with experienced poker players of India at Spartan Poker online site and App,” said Ranvijay Singh, Rodio Actor and star, on a live event of The Millionaire tournament of Spartan Poker. This gentleman has a soft heart and believes in giving back to the society. “Many of our events prize money has been matched and donated for a good cause to the NGO’s in India. We will continue to do whatever we can to make it a better place for as many souls we can possibly touch and help,” Amin speaks humbly on this. “It is heartwarming of Spartan Poker to contribute for the betterment of unprivileged children” said Actor Kunal Kapoor on Spartan Poker contribution to Ketto Foundation. “It’s not just a beautiful sport, it also challenges one to brush their skill sets. Like the IPC is for live events, I want Spartan Poker as an entertainment where many players come to enjoy Poker professionally, as a hobbyist or for simple leisure,” tells Amin as he expresses his passion for the sport. 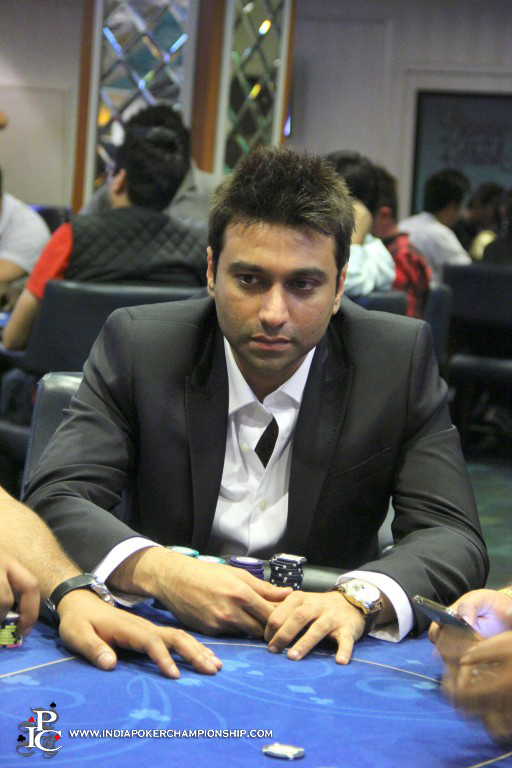 It is clear that India's Poker industry is on the rise and with the efforts of individuals like Amin Rozani riding that wave, the sport of Poker will undoubtedly thrive and grow in this country.